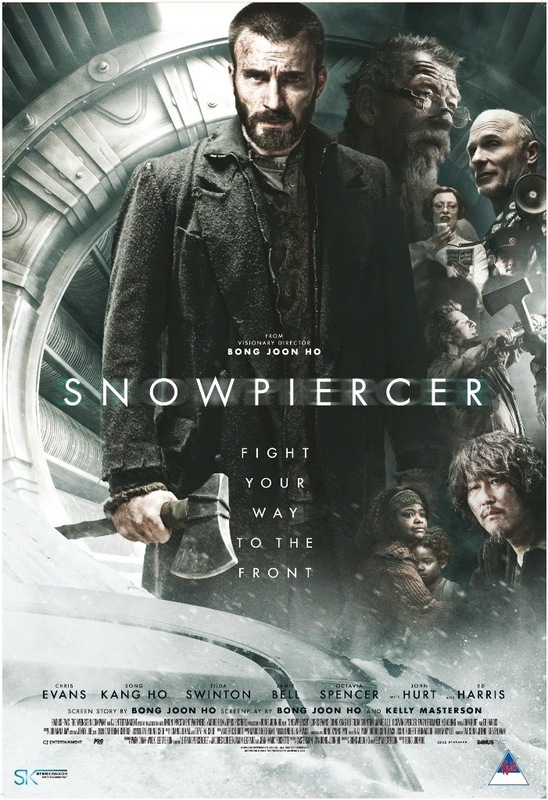 Snowpiercer (2014) is a thriller action movie starring Chris Evans, Song Kang-Ho, Octavia Spencer, Ed Harris, Jamie Bell, John Hurt and many more.The movie is based on the French graphic novel Le Transperceneige by Jacques Lob, Benjamin Legrand and Jean-Marc Rochette and is directed by Bong Joon-Ho. The movie is a journey from the tail-end of the train to the engine of the train. The only thing that is left in the world is this perpetual train which keeps running on the tracks and whosoever is inside the train are the only living things left on the planet. This thriller is a movie about the group of people fighting for their rights in the train. The movie is well shot and with every compartment there is something new to explore in the train. The actions scenes are nice and combination of english & other languages makes it interesting. Language always breaks barriers as the two lead characters doesn't know a common language but still helps each other. Octavia Spencer brings in a lot of drama to her character and her acting is really awesome. Chris Evans broke his Captain America image in this movie and only in the end credits, I came to know that it was him. I could not even recognize him and I am not joking. For me that thing only made the movie worth watching along with curiosity as to what is behind the next gate of every compartment. The discrimination between the poor and the rich always results in a revolt and in this movie also, it's the fight to reach the front of the train. Movie is releasing in Ster Kinekor on 17th Oct 2014. Book your tickets now. More info on twitter and facebook.